From the end of January 2018, passengers flying on Delta's New York to Tel Aviv flight will be able to purchase a Delta Comfort ticket. Passengers previously had to buy an economy ticket and separate supplement to receive added benefits of Delta Comfort. From the end of January 2018, passengers flying on Delta’s New York to Tel Aviv flight will be able to purchase a Delta Comfort ticket. Passengers previously had to buy an economy ticket and separate supplement to receive added benefits of Delta Comfort. The economy class upgrade offers: pre-reserved baggage storage areas above designated seats, larger space between seats, an eye mask, noise cancelling earphones and a dental kit, as well as meals and drinks. 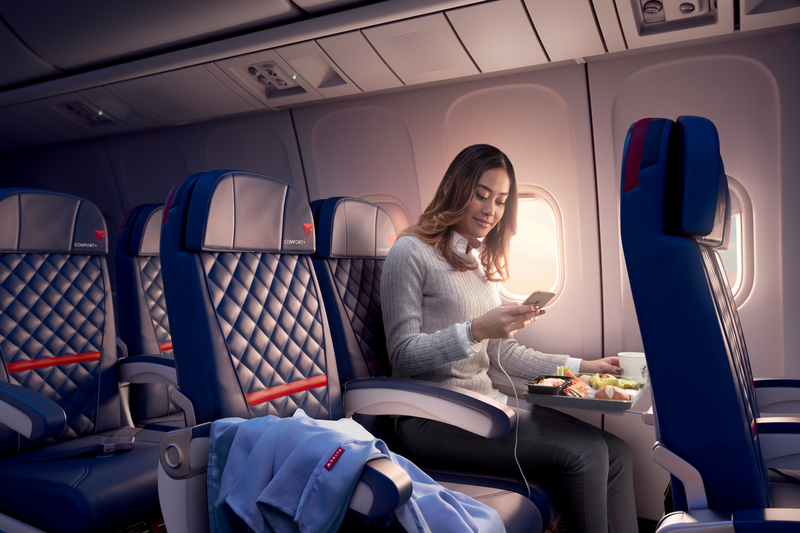 Delta Comfort seats can be purchased on Delta’s website, the FlyDelta app, the Delta reservations department and through travel agents.